On December 25th, Ash and I, the Jewish wifeys, got together with Brock and Patrick, our husbands, to celebrate Christmas. We started with a hike with Dakota and then cooked up a feast. We made lamb chops, salad, homemade bread, rice gratin, and homemade ice cream sandwiches – carrot cake ice cream with cream cheese cookies. 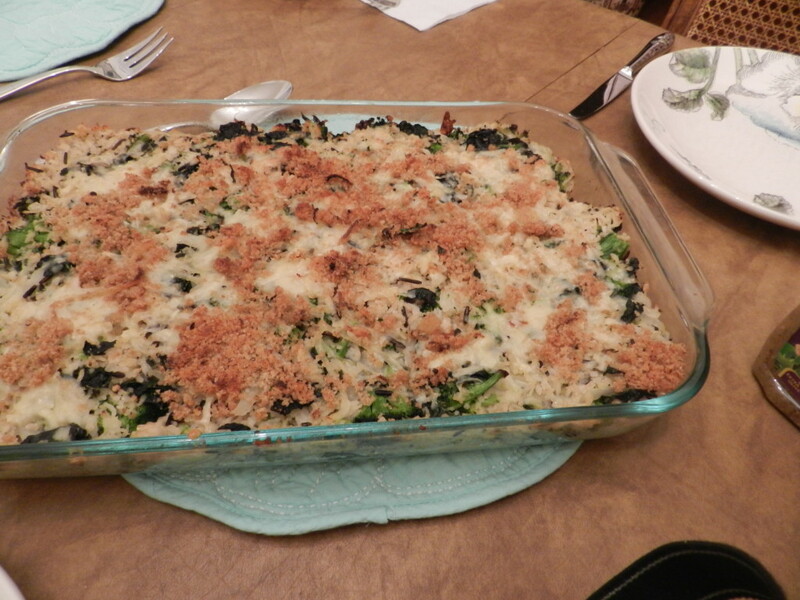 The recipe below is for the rice gratin, which is a take on a recipe from the Smitten Kitchen cookbook. 1. Cook the rice in a rice cooker or according to the package directions. 2. 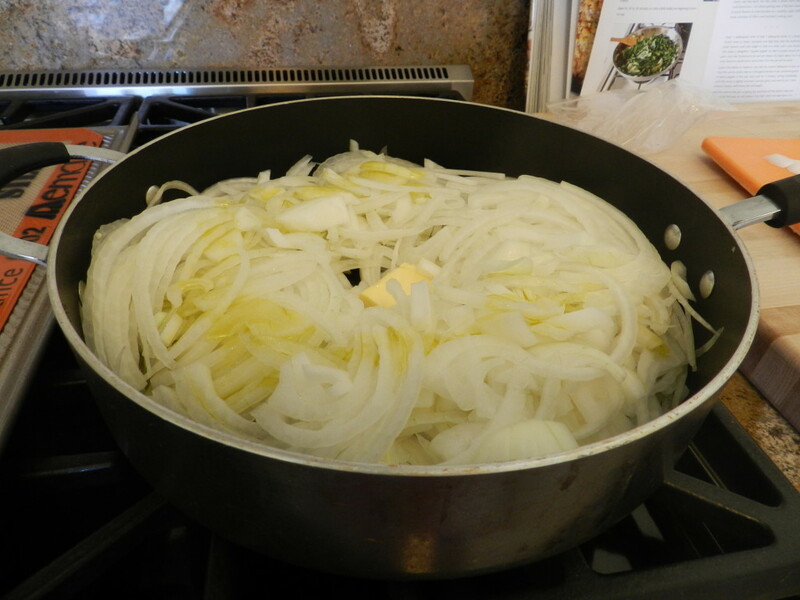 Caramelize the onions: Melt the one tablespoon butter with the one tablespoon olive oil over medium heat in a large skillet. Add the onions, and top with salt and pepper. Cook over medium heat, stirring occasionally, for about 30 minutes until soft and caramelized. 3. 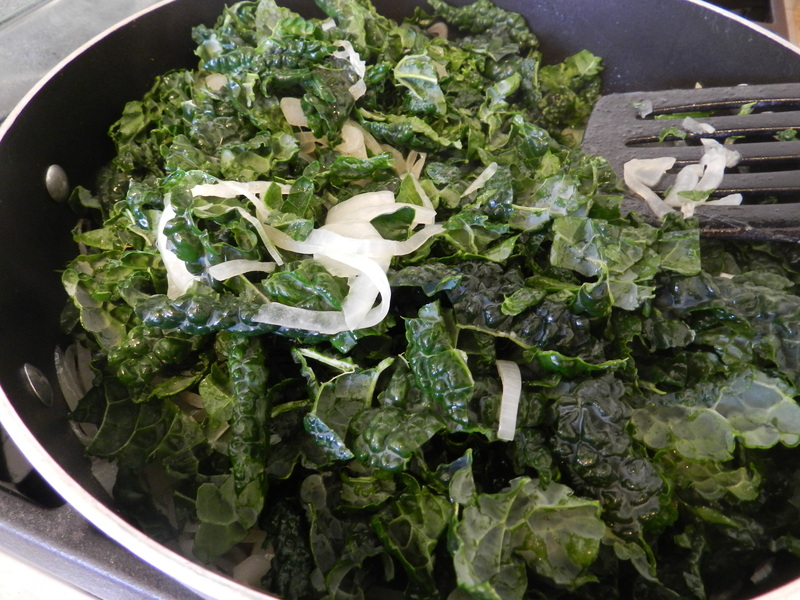 Add the kale ribbons to the onions and cook for another 5 minutes or so. 4. Preheat the oven to 375 degrees. 5. 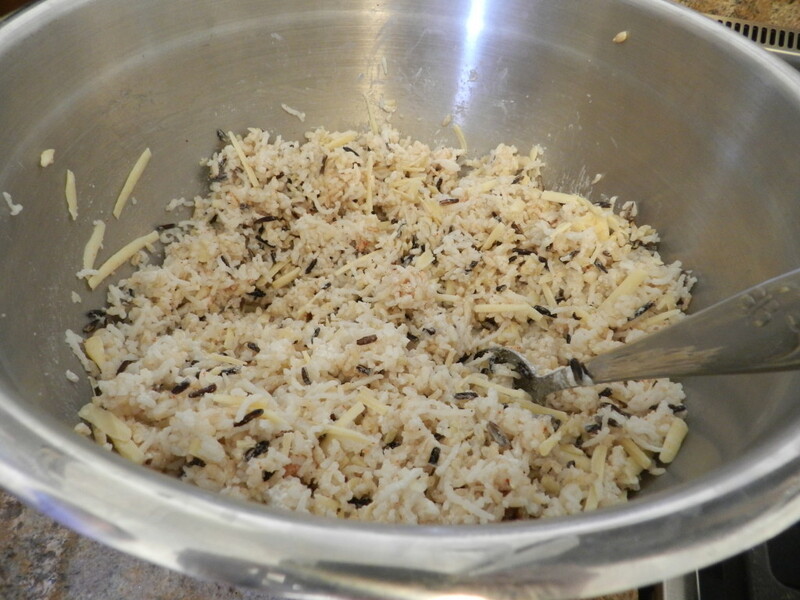 Mix together the rice mixture in a large bowl: Mix together the cooked rice, the onion/kale mixture, the broccoli florets, the yogurt and one cup of the cheese. 6. Make the breadcrumbs: Melt another tablespoon of butter in the skillet over high heat and add the breadcrumbs. Toss for about two minutes until toasty. 7. 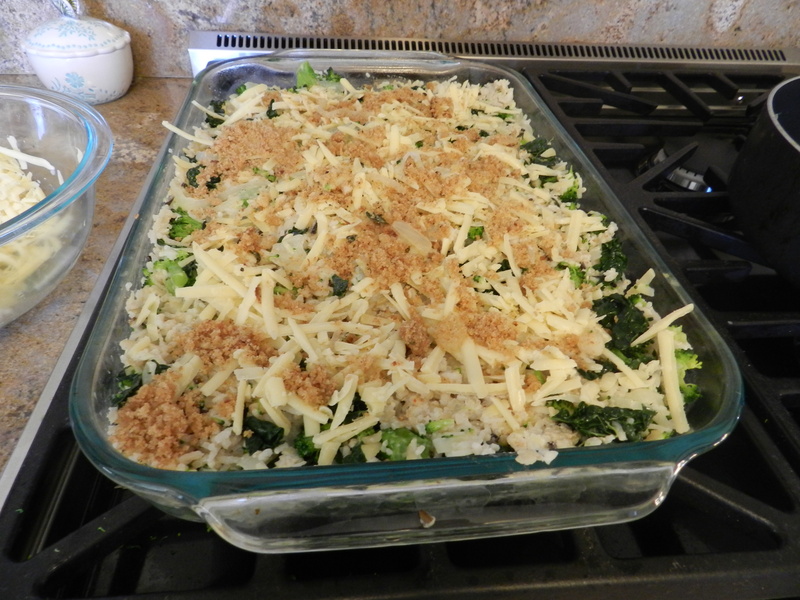 Assemble the gratin: Grease a large baking dish. Spread the rice mixture into the dish. Sprinkle the top with the remaining cheese, and sprinkle the breadcrumbs over that. 8. Bake for 30-35 minutes, until bubbling and cheese is melted and a little browned. This entry was posted in Mains, Sides and tagged CHEESE, Kale, rice, Vegetarian. Bookmark the permalink.